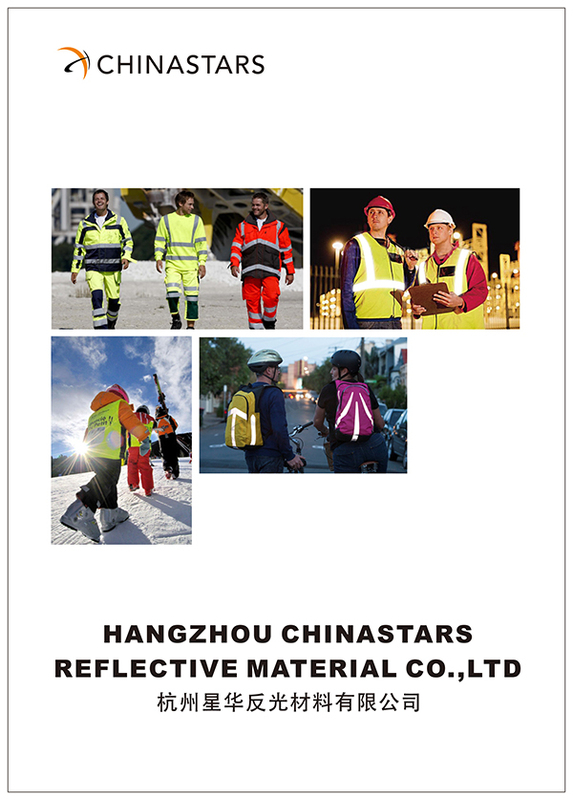 CSW-013 reflective rainwear meets ANSI 107 & EN 20471 Class 3 requirements and uses all certified reflective materials. 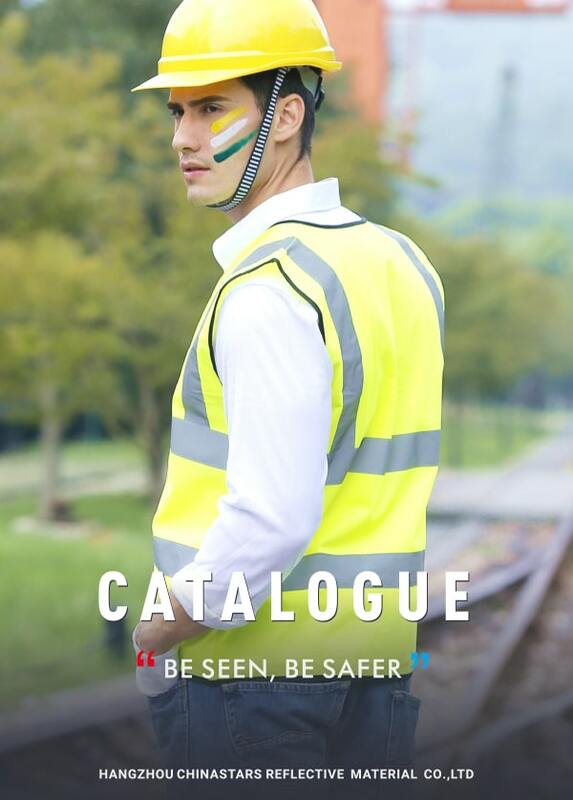 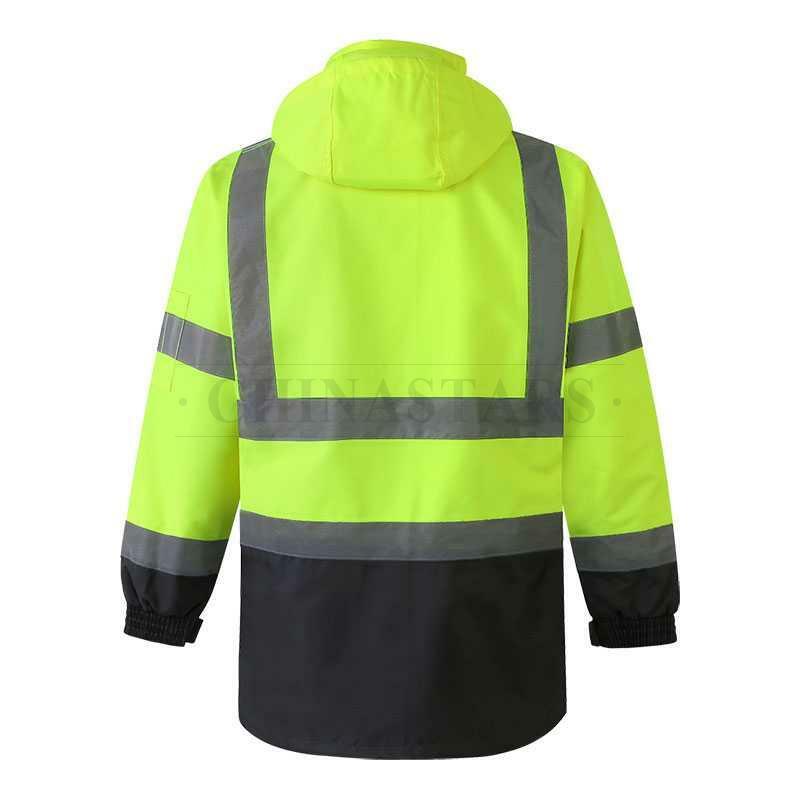 Designed with two horizontal reflective strips on body, two vertical strips in the front and four round reflective strips on sleeves for riders and walkers that can effectively help people to be seen in heavy rains. Great reflective raincoat made up of 300D oxford with PU-coating, and provides maximum visibility and weather-proofing for people who have possibility to be caught in the rain on roads, highway, construction site and other outdoor areas. 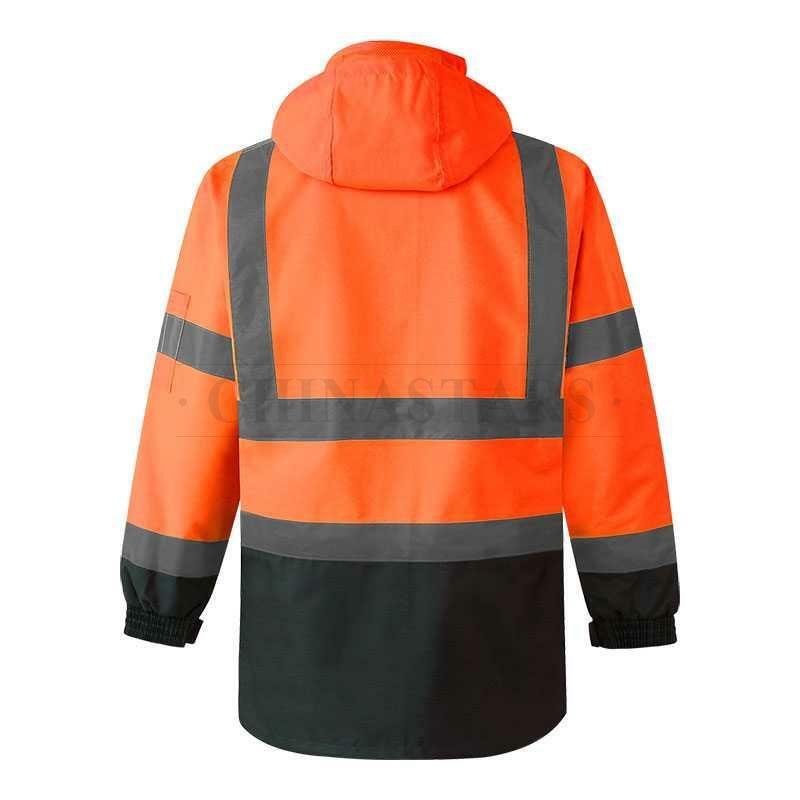 Adjustable diameter cuffs equipped with both elastic and hook and loop strips. 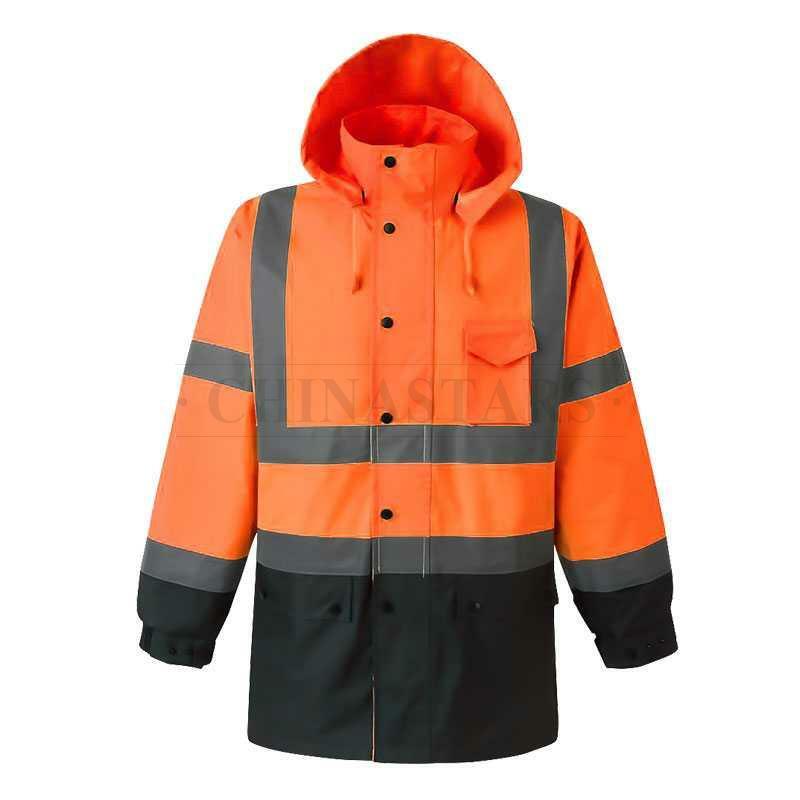 Detachable hood designed with draw strings that can help you to adjust the size, and choose whether to put off the hood or not, according to the weather. 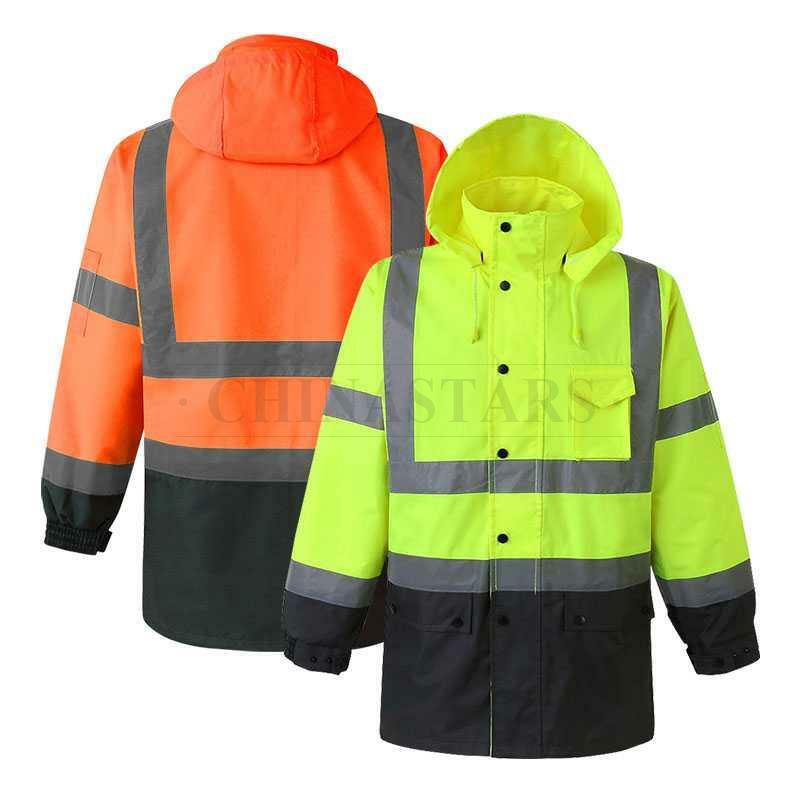 These highly functional raincoats have four multiple pockets designed to hold and shelter phones, pencil, flashlights, tools, and other essentials.